We love BKPPF Block One Capital Inc.
Members of the Ateam are most likely aware that we can’t stop talking about BKPPF. If you have been following us for awhile you know that we have been on fire when it comes to our long-term swing trade calls. We have become masters at identifying stocks that are just starting to get in the awareness stage. BKPPF currently ranks #1 on our penny stocks watchlist. 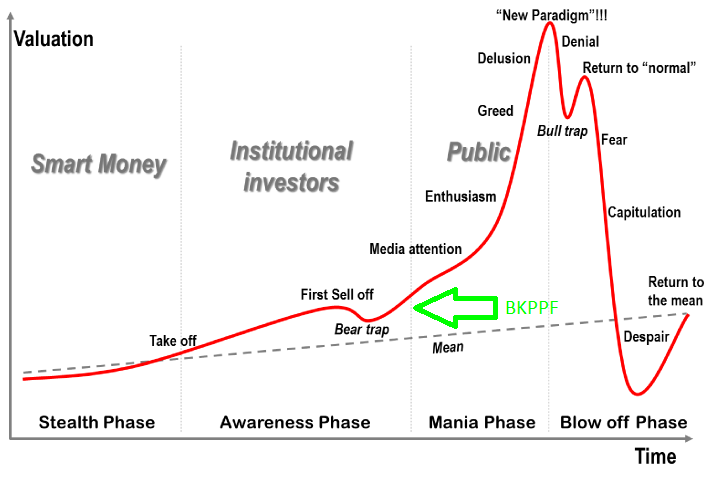 We believe BKPPF is currently in bear trap stage. 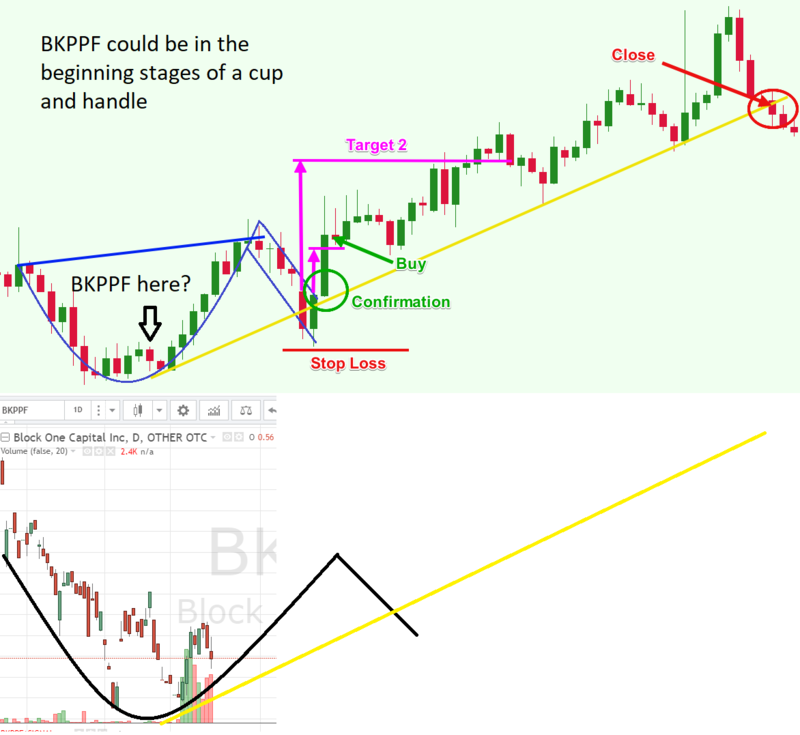 It looks like BKPPF is setting up the perfect cup and handle chart pattern! Before you continue it is important that you read the article on the three different types of traders. Here are the reasons why BKPPF is primed for a breakout. 1. BKPPF owns 90% of TG12 ventures Inc.
A TG12 ventures update was released and they now have 200 operating miners and they expect to have 1,000 miners in operation by the end of March. Due to the cheap price of an estimated $0.10 per kilowatt an hour, this will give BKPPF a huge advantage over competitors. Their facility also has the ability to have as many as 600,000 miners. What that means is you can expect a lot of upcoming catalyst and news. The Senate just passed a bill to loosen Dodd-Frank, it looks like blockchain could introduce a massive change in the Mortgage industry. Blockchains ability to execute and record complex transactions would be massively helpful and cost efficient for lenders and consumers. 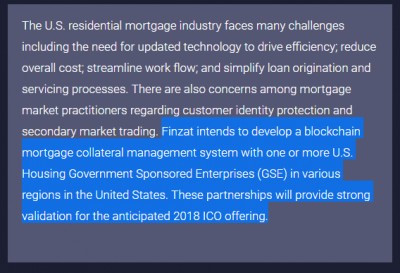 This puts Finzat Block Inc. in an extremely favorable situation since they are on the forefront with BlockChain and Mortgages. This National Mortgage News article talks about how the mortgage industry can’t afford to fall behind on blockchain. Cuipo has been featured on Forbes, Huffington Post, and 20 other global publications. Their Dance for 1 meter is a rainforest preservation initiative that protects endangered lands by using a patented virtual grid system and tokenization method. They will be selling educational products at over 2,000 of the most popular Electronic music events in 2018-2019. This will bring new eyes to the company and support a good cause while at the same time bringing revenue in. I don’t believe there has been an official press release yet, but there is a hint of a huge potential future catalyst on this page of their website https://www.blockonecap.com/finzat/. ICO announcements are bringing major share price increases for companies launching ICO’s in 2018. If news gets out about an ICO the price per share could skyrocket. Wealthy investors have placed millions in Non-Brokered Private Placement. In other words, they are so confident that the price per share of BKPPF will go up they are willing to invest in Non-Brokered deals. As you can see right here https://www.blockonecap.com/block-one-capital-inc-announces-5000000-non-brokered-private-placement/ that was just one private placement of 5 million dollars. People don’t invest that type of money unless they expect to get great ROI. In order for that investment to be worth it BKPPF price has to go up. At the bottom of the article at http://coinchainmarket.com/article/blockchain-technology-revolution-created-immediate-opportunity-investors/ you can see this “CoinChainMarket.com is owned by JSG Communications & expects to be compensated up to $500,000.00 by Block One Capital Inc. for a period beginning March 3, 2018, and ending September 5, 2018, to publicly disseminate information about (BKPPF). We may buy or sell additional shares of (BKPPF) in the open market at any time, including before, during or after the Website and Information, provide public dissemination of favorable Information. 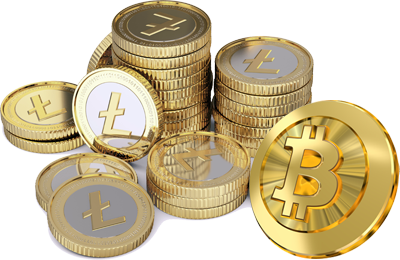 We own zero shares.” 500,000 is a huge amount for market awareness and advertising! This is a detail that only Pro Traders seem to notice. If they are spending that much money for the market awareness you can expect an increase in buying volume as well as media attention. This is also why we believe that BKPPF is currently in just the “awareness stage” of the chart above. 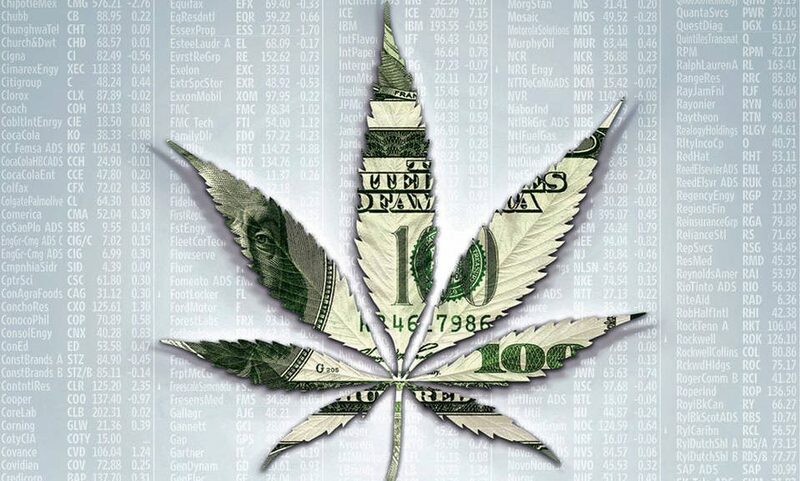 We love to buy low and sell high! BKPPF has everything we look for when we are considering a 2-3 month swing trade. 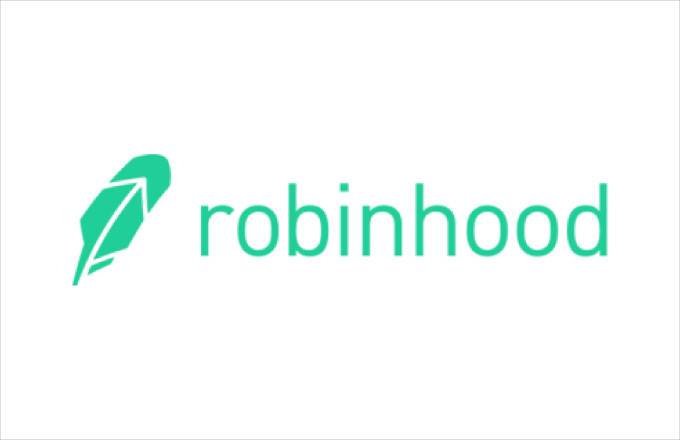 It has several different ways to produce revenue, It has several potential upcoming catalysts, It has wealthy insider investors, and it has a huge marketing campaign. Disclaimer: We are not financial advisors, We are not Brokers, We are not giving financial advice. Everything in this article is for entertainment purposes only. Penny Stocks are risky. Awesomepennystocks.com has not been compensated for spotlighting BKPPF Block one Capital Inc. We do know that JSG Communications & expects to be compensated up to $500,000.00 by Block One Capital Inc. for a period beginning March 3, 2018 and ending September 5, 2018, to publicly disseminate information about (BKPPF). We may buy or sell additional shares of (BKPPF) in the open market at any time, including before, during or after the Website and Information, provide public dissemination of favorable Information. We currently own zero shares.